I am Psychic Intuitive offering readings to help you on your life path. If you have a quick question about your relationships, finances or career, I would be happy to offer intuitive guidance here. I also offer more in depth readings about your soul contract and life purpose. My readings offer insight, clarity and a new perspective for you. Sometimes when we are experiencing challenges in our life it is hard for us to see the light up ahead. You deserve all the joy that is your birthright. It would be an honor for me to help you move forward and reclaim your life. Available for phone or in person readings. Cyndy is clairvoyant, clairsentient, and clairaudient allowing her to receive messages from different realms in a number of ways. Readings can help you gain insight, have a new perspective, make choices you resonate with that can unveil your life purpose. Cyndy does not predict the future. We all have free will. The future is waiting right ahead of you like a piece of untouched clay for you to mold in any way you choose. Cyndy co-owns All Is Well, Inc. in Kingston NY dedicated to Mind/Body Wellness. 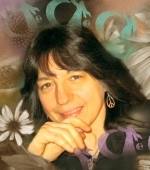 She is also a musician, artist, holistic health coach and energy healer. I came by Cyndy through word of mouth-a friend had a life changing experience, who then recommended to another, who then gave me a reading as a gift. Cyndy's office is very comfortable and she quickly tapped into my "guides." She relayed to me direction, even pushed into uncomfortable areas. There is give and take, Cyndy checks in with you to make sure you understand and if you want more clarification. It was an experience like no other and I highly recommend her services. I will be returning. I had a soul contract reading with Cyndy over the phone. It was fantastic! I highly recommend this for anyone wondering about their life purpose. Yes, we are all meant to pursue our joy, but it was amazing how helpful and uplifting it was to hear from Cyndy, who doesn't know me, precise confirmation of my hunches and un-pursued interests. I feel confident now to strike out on the best path for me, even if it is unorthodox. She is down to earth and fun, but clearly a highly gifted intuitive. Cyndy, I feel that the session at Susan's on November 7th was life changing , not only for me but for my daughter and my friends. You were 100% accurate with your comments and questions, so it was evident that the spirits of our loved ones were coming through. Your gift is amazing and I wish you well as you continue to make a difference in peoples' lives. Blessings.. I have had two mediumship galleries now with Cyndi and it really is amazing how good she is. She said things that no one could possibly guess. She is such a warm person, she really puts the entire room at ease and makes it a very comforting experience. I went in a little sceptic, but she definitely made me a believer! I was referred to her by my uncle for some spiritual guidance. She was very spot on and helpful into giving me the direction i needed. Very descriptive and knew how to articulate herself very well. She was extremely polite and made sure I understood her points and information, she was relaying to me. It was my first time speaking to a psychic over the phone and she made me feel comfortable and explained how its done very well. I will recommend her for anyone looking for guidance in life. Cyndy is clearly gifted. Her insights were on the mark with me and her approach was clearly guided. I now see her as a resource to reach out to with any future key decisions. I have already recommended her to friends and family and cannot wait for my next reading! I hosted a medium gallery and private psychic readings at my home. I was drawn to book Cyndy and after the reading, I now know why. She is incredibly connected. She reuinited family members who brought healing words. The impact of her medium reading blessed. She affected so many beyond that room with long overdue healing. She also affirmed in me experiences in my life which I have had and often questioned. Things I never share with others. I feel free to trust in this now. Cyndy is blessed. Cyndy came to my home and did a medium session. She was spot on with detailed information that no one could have known. I sat in amazement when she kept bringing up personal memories and messages from deceased loved Ones. Cyndy calmed my nerves with a kindness in her delivery. She has truly changed me and I highly recommend her. This was my first mediumship reading and Cyndy and she answered all of my questions and thoughts it was such a great experience. I can't wait until my next reading. I went home and thought about it all night. I felt such peace of mind. Cyndy was so polite with my loved ones. I believe everything happens for a reason and I was meant to have a reading by her. See you soon Cyndy!!!! My life path reading with Cyndy was magical. She led me from age 3 to my present 34. It was as if she felt every emotion, love, pain, fear.Like She lived it right there with me. I now am planning a career change to fullfil one of my soul purpose's in life. It is something I have always felt and known to be true but may never had the courage to follow had it not have been for Cyndy! I will be calling again! Cyndy was warm, loving, and guided! She knew things that no one could possibly know. Tears poured down my face through the entire reading as I tried to write every word that she spoke while trying to process and understand how she could possibly be speaking with those I loved so much. My reading was the single most amazing thing I have ever experienced aside from the birth of my beautiful little daughter, who I know is here today from the help of those who have passed over. Thank You Cyndy! I found my reading with Cyndy DiBeneditto to be most comforting. She is intuitive, gentle and loving. Her sensitivity to my loved ones passed brought me closure in some areas. As was the case in this life, my family was also difficult and I'll have to visit with Cyndy and them again to attain greater understanding and closure. I believe that she is the real deal and am so grateful for her insights. I have received both psychic and mediumship readings from Cyndy. She is an extremely accurate, warm, anc compassionate reader. While she read many of my relatives and was helpful and accurate, knowing details only I know, the most helpful was with my brother and his tragic passing. Though I had done much grief work, it was Cyndy's reading that reassured me of his peace, the meaning and purpose of his life and passing. It was a profound healing for me. Having a reading by Cyndy is a wonderful experience. She is quite accurate in assessing key issues and providing clarification. Cyndy offers a variety of readings that can accommodate individual needs. I have recommended her to many friends.